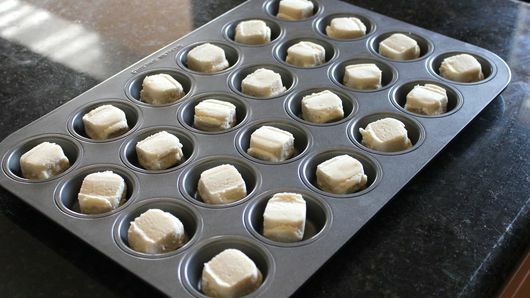 Remove cookie dough rounds from tray. Place 1 cookie dough round in each muffin cup. Bake 12 to 15 minutes or until light golden brown. 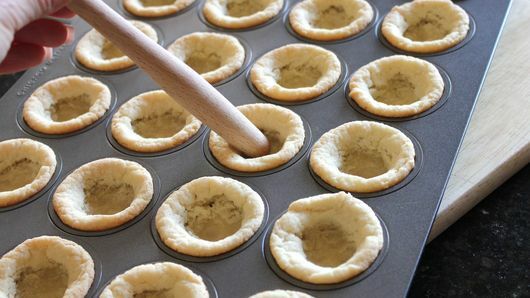 Using end of wooden spoon, carefully press into center of each baked cookie to make 1-inch-wide indentation. Remove cookies from muffin cups onto cooling rack. Cool while making Champagne Buttercream. In medium bowl, beat butter with electric mixer on high speed until soft peaks form. Gradually add powdered sugar while beating 1 to 2 minutes. 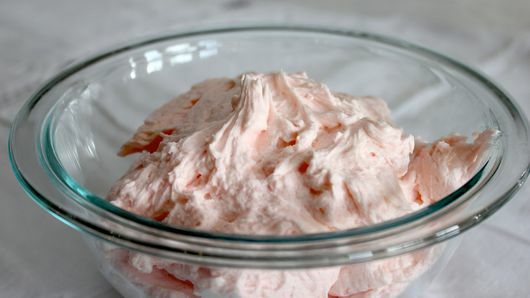 Add champagne and enough food color to create pink champagne buttercream; beat 1 to 2 minutes until stiff peaks form. 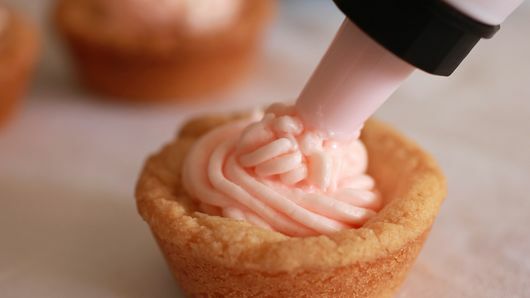 Fill each cooled cookie cup with about 1 tablespoon champagne cream. 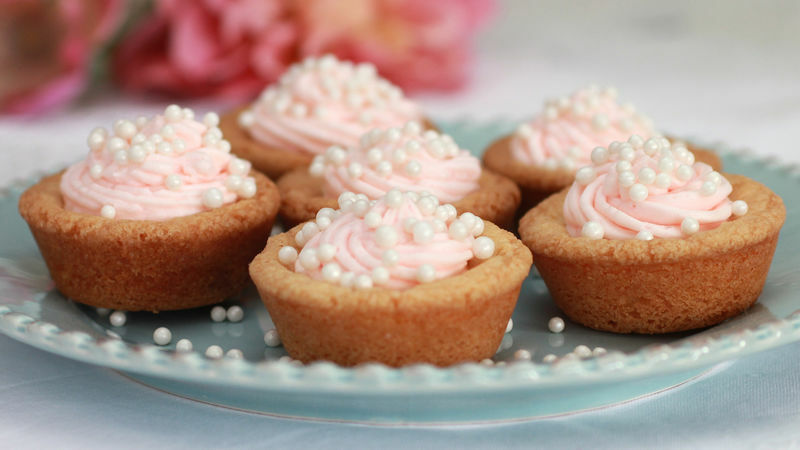 Decorate tops with candy sprinkles.